A proposed plan to close California’s last nuclear plant gets harshly criticized. Diablo Canyon, California’s last operating nuclear power plant, will close by 2025. Everyone agrees on that. But how to replace the plant’s 2.3 gigawatts of energy without adding carbon emissions -- and how to keep its workers and surrounding communities supported through its eventual retirement -- are much more contentious issues. On Tuesday, the California Public Utilities Commission heard a final set of oral arguments over the proposed decision that will guide Diablo Canyon’s nearly decade-long glide path to closure, and lay the groundwork for PG&E to procure the energy, capacity and reliability resources to take its place. The initial plan, announced last summer, was a joint settlement agreement between the utility and multiple parties with a stake in its outcome, and included a first-of-a-kind commitment to replace the plant’s capacity with zero-carbon emissions resources. That included a big increase in energy efficiency spending upfront to achieve roughly 2,000 gigawatt-hours of savings through 2024, as well as future procurements of carbon-neutral energy resources at larger scales. But earlier this month, a CPUC administrative law judge issued a proposed decision (PDF) that made some troubling changes to this framework, said Ralph Cavanagh, energy program co-director for the Natural Resources Defense Council, one of the key parties to the settlement. Tuesday offered NRDC and other groups opposed to the proposal a final chance to air their grievances before the commission makes its final decision. “I’ve been doing this for 40 years, and this is among the worst proposed decisions I’ve ever seen -- not just because of the outcome, but because of the systematic disregard of the evidence,” Cavanagh said in a Wednesday interview. NRDC isn’t alone in its criticism. PG&E said it “strongly disagrees” with the changes made to the joint settlement’s employee, community and energy replacement programs; the San Luis Obispo Chamber of Commerce wrote that the proposal would send the region into an "economic tailspin." These groups all have three major complaints with the proposal, Cavanagh said. First, it fails to include any formal commitments to replacing Diablo Canyon with zero-carbon energy resources. That's an odd exclusion, given that no one opposed that commitment. "So it’s an uncontested recommendation, and I’m cautiously hopeful that the commission will take it up," said Cavanagh. 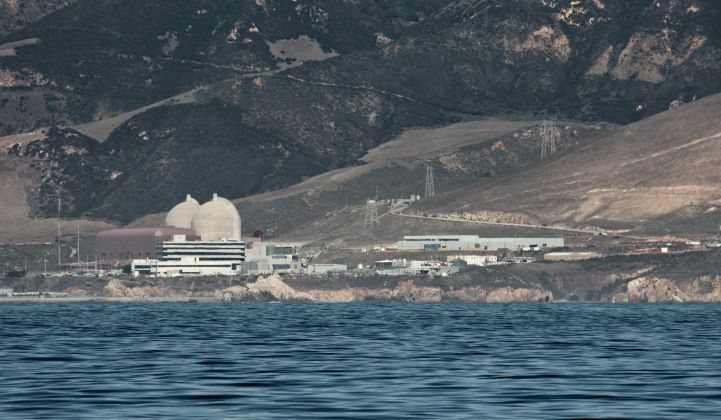 The lack of any specific guarantees on zero-carbon alternatives in either the short or long term raises the fear that Diablo Canyon’s closure could lead to the same problems the state faced back in 2013, when the San Onofre nuclear plant was forced to close without a long-range plan in place, he said. While the CPUC did instruct Southern California Edison and San Diego Gas & Electric to seek out a large portion of the replacement from zero-carbon resources, including hundreds of megawatts of distributed energy, it also allowed both utilities to add hundreds more megawatts of natural-gas-fired power plants, angering clean energy advocates that had pushed for more zero-carbon alternatives. Finally, the proposed decision slashes the amount of money that PG&E would be able to raise from ratepayers to support workers and surrounding communities by more than 60 percent, down to $168 million from the $445 million proposed by PG&E, NRDC and union and community groups, he said. That includes a denial of PG&E’s request for $85 million in Community Impacts Mitigation Program funds for San Luis Obispo County and local cities and school districts. “Having ratepayers take the place of taxpayers in paying for government services is not reasonable, and should not be approved,” California Public Utilities Commission Judge Peter V. Allen wrote in his proposed decision.